This is the creepiest ad I’ve ever seen that wasn’t a trailer for a B rated horror flick. Nobody wants to ever think that a little kid dies and spends the afterlife in a state of perpetual regret and loneliness for childhood choices. That, in my humble opinion, is the reason for the blowback about this ad. This is why you, yourself, hate this ad. You instinctively think all little kids should go to heaven if they die. Nationwide also was not thinking about the audience they were pitching to. People were watching the Super Bowl to be entertained. This was not an entertaining commercial. It wasn’t even sad. It was twisted. Progressive, Gieco, and Esurrance are having fun selling insurance. They tell entertaining stories and where we can’t wait to see what they do next. We love the cast of characters including type A personality Flo, a gecko with a British accent, and lovable senior citizens reimagining tech and social media. These insurance companies are not using old school scare tactics to sell insurance. To Nationwide’s credit, the MakeSafeHappen.com website is a great idea with useful and shareable content. But Nationwide would have done themselves a huge favor if they found a more user friendly way to roll this out as a public service announcement. But when I see those kids pictured on the website, I get the heebie-jeebies because I think they're all trapped in limbo with unbaptized babies. 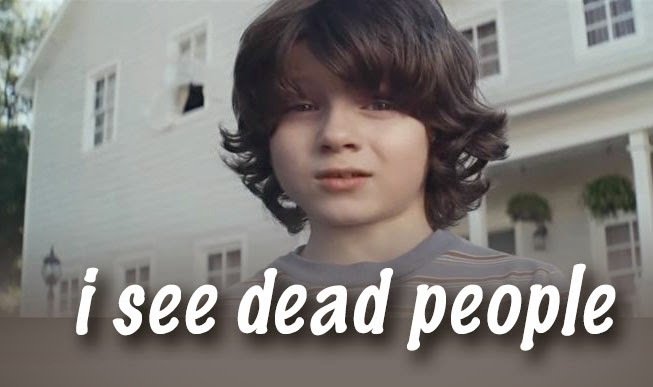 After huge social media backlash, in a statement, Nationwide said, “The sole purpose of this message was to start a conversation, not sell insurance.” This was definitely accomplished, but Nationwide has morbidly tainted it’s brand with an image of a dead kid telling people to be careful from beyond the grave. I can't even begin to tell you the grief this commercial caused my blogger friend whose daughter was killed in a car crash a little over a month ago. The mom and dad were driving Kalkidan to a friend's house for a daytrip when they lost control of their vehicle on snowy roads. Lisa fractured her hip and collarbone, Russ was fine, but 13-year old Kalkidan died immediately. They had poured their lives into this child--adopting her from Ethiopia when she was a young girl. She had just a few months prior finished inpatient treatment for emotional issues related to her life prior to adoption, and Lisa said their family finally felt normal after years of struggle.